Join us at the Business Analysis Summit 2018 to discover how organisations, in partnership with the Business Analysis profession, can embrace change and transform business to realise value. We invite thought leaders and experienced Business Analysis professionals to present ideas, share their expertise, knowledge and experiences at this conference. Please click the link below to submit online. You may submit more than one abstract, but each abstract should have its own topic, and link to one of the 4 tracks. All papers need to be submitted before the 15 June 2018 to be considered. 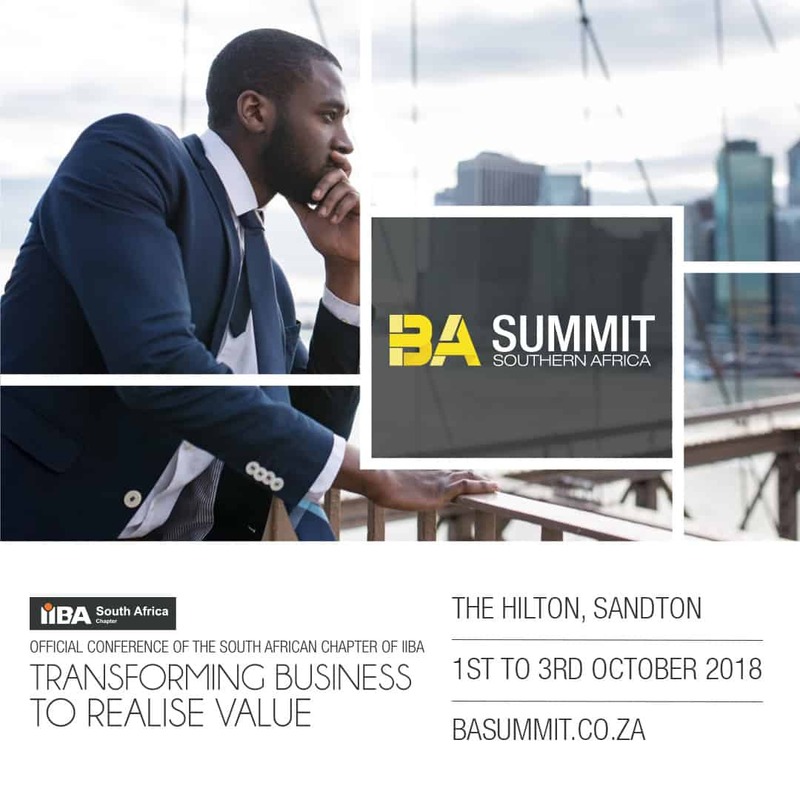 BA Summit 2018 will provide a platform for all Business Analysis professionals, and organisations that employ them, to come together to share ideas and understand how the Business Analysis professional can drive business value realisation, and enable business transformation. Sponsorship proposals are being accepted for BA Summit 2018, the seventh annual conference, to be held in Sandton, Johannesburg, specifically focused on the Business Analysis profession. We are expecting great interest in this Conference, as last year we had an attendance of over 300 BAs. We therefore invite you to take advantage of this exceptional opportunity to share your organisation’s involvement with the Business Analysis profession. To find out more please visit the BA Summit 2018 website.